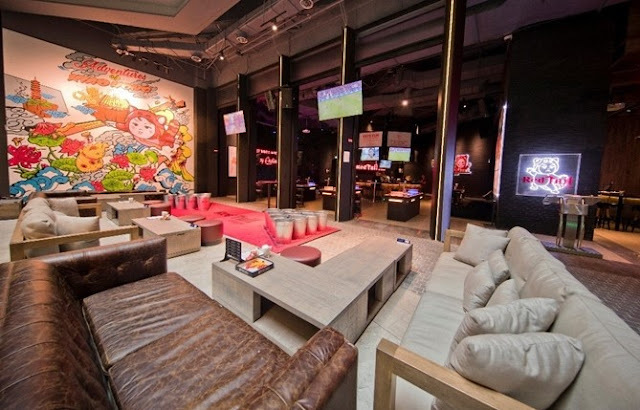 Soak in the fantastic atmosphere of Asia’s ultimate gaming bar at RedTail by Zouk, Resorts World Genting. A pool party, electronic beer pong, even a red-tailed panda mascot promises a multiple nights of merriment for party-goers. Experience the best games that you won’t find anywhere else such as Giant Pong, Electronic Beer Pong, Shots & Ladders and Battle Shots. These are some of the most popular games available at RedTail by Zouk – which also include Giant Jenga and Xbox E-Games. Check out their latest highlights! For Giant Pong, attempt to hurl balls into oversized baskets, with Electronic Beer Pong being a tabletop version of the game, but with no less chaotic excitement and enthusiasm. Shots and Ladders is a drinking version of Snakes and Ladders, while Battle Shots challenges teams with a game of Battleships, featuring shots of RedTail Signature Sour Plum shots. RedTail is created by the minds behind Asia’s leading nightclub brand Zouk. 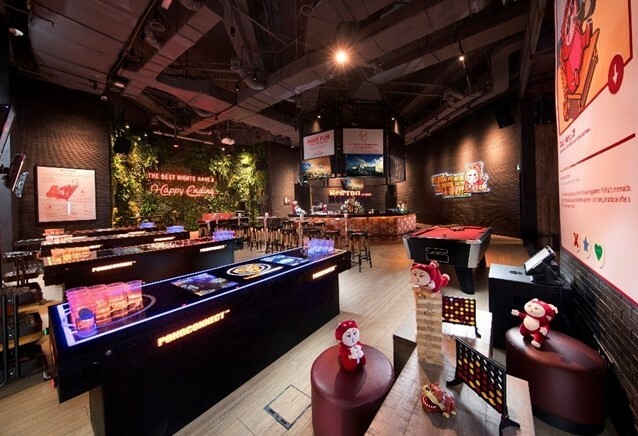 A cool space highlighted by red neon lights, vibrant murals, specially commissioned graffiti art, arresting lighting and references to mascot Xiao Hong the Red Panda, the bar is a pulsating stage of fun and energy. 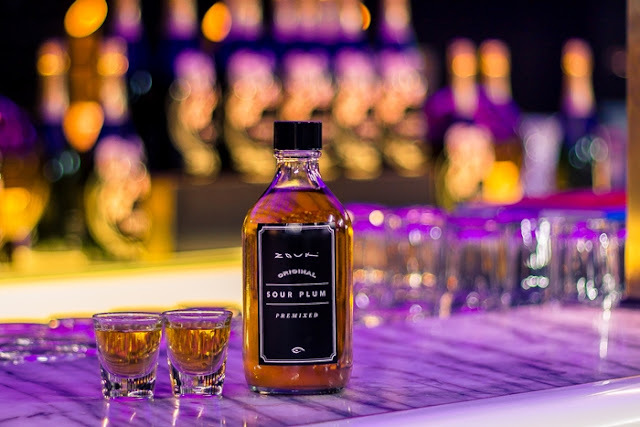 A full array of drinks and liquid concoctions will please all guests, with some unique mixes like the Zouk-inspired sour plum shot, RedTail’s bestseller signature drink. The bar has several exciting events lined up for the month that will leave party-goers spoilt for choice. Mermaid Night is an extravagant time for the ladies, but the men are very much welcome this July 6 from 9.00pm onwards. Ladies should make sure to bring out the best of their sequinned party garments as the dress code of the night. You can expect to look fabulous in the beauty department as they will be treated to a flash makeover by every girl’s favourite French beauty store: Sephora. Two lucky winners of the night will receive an exclusive gift box from Sephora for the ‘Best Dressed’ and ‘Best Photo’ award, so prepared to look ‘on point’. Psst... you can also meet the lovable mascot in person as Xiao Hong will be making a special appearance at 11pm to add some fun to the night. This is just the start of endless parties to come with more Ladies’ Nights lined up every month. Weekend warriors, bring your A Game for the ultimate challenge: the RedTail Beer Pong Championship. For those unfamiliar with the game, players attempt to throw ping pong balls across the table into an opponent’s half-filled cup of beer. If it is a hit, the opponent has to drink from the cup. This July 13 at 9pm, just order one tower of Tiger or Heineken beer to join the championship in teams of two. Each player is given the chance to have one throw per round with single eliminations. This is no ordinary round of beer pong as the stakes are high with RM3,000 for the first prize, RM2,000 for the runner-up and RM1,000 for the third runner up for grabs. For a true party, the only way to do it right is to do it with a splash. RedTail by Zouk is bringing the party to a hot new location: the Awana Pool Side. This July 21 from 12pm to 6pm, there is free entry for all to the party that will feature international chart toppers and cutting-edge local acts. Get ready for some fun in the sun with pool games and beer pong during the weekend that will also see the Good Vibes Festival arrive at The Ranch, Gohtong Jaya at Genting Highlands. A resident DJ from Zouk Singapore, known for their stellar skills at the turntables will be on site to turn up the heat. RedTail by Zouk isn’t content with doing things the normal way as there will also be a Giant Beer Pong competition with RM1,000 going to the winner. Guests don’t have to worry about getting from the festival to the party as there is a free shuttle bus from Awana Hotel to Good Vibes Festival. After a day of music and dancing outdoors, it is time to bring the party in and 6000ft above sea level to RedTail by Zouk at Resorts World Genting. Party-goers should make sure to catch the Good Vibes After Party from 10pm to 4am on July 21 & 22. Good Vibes Festival’s ticket holders can enjoy a Sour Plum Shot on the house upon presentation of ticket. The resident DJ from Zouk Singapore will also be on hand to crank up the volume and the mood. 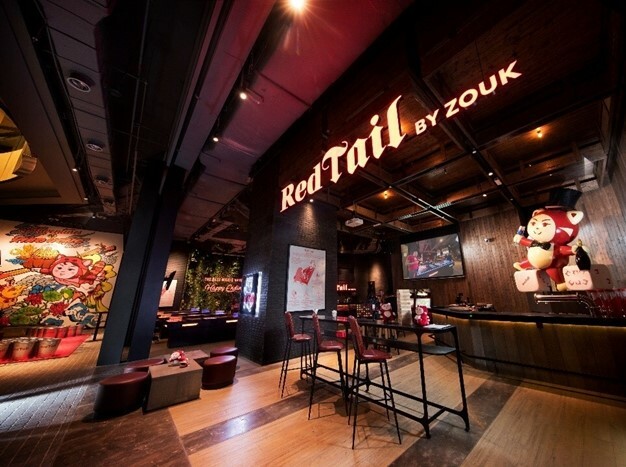 RedTail by Zouk is located at Level G of SkyAvenue, Resorts World Genting. Open every day from 5pm to 3am. RedTail by Zouk offers a wide selection of alcoholic and non-alcoholic drinks at its Beer bar and Tiki Bar, as well as a menu of light meals and snacks.